As a mum, I am always trying to get my children to eat more of the good stuff with the odd unhealthy treat thrown in there. One thing I have never had any issue with getting them to eat is yoghurt. Whether they are popped in their lunch box for school, enjoyed as part of a picnic or a mid-afternoon snack. Earlier this month we were invited to the Frubes Sleepover at Thorpe Park to learn more about the brand (which is a regular on my shopping list, a box of nine is just not a big enough pack!) and hear about their partnership with Angry Birds. Frubes is the UK’s #1 kid’s yoghurt and fromage frais brand, Petits Filous. With calcium and vitamin D, these yummy yoghurt tubes squeeze more fun into the day and are a favourite for all the family. 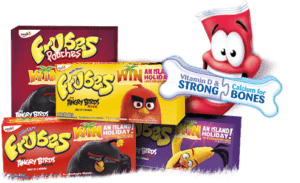 Frubes has teamed up with The Angry Birds Movie for a very special on-pack promotion running until 31st October 2016. Available on over 10 million packs (that’s a lot of Frubes! 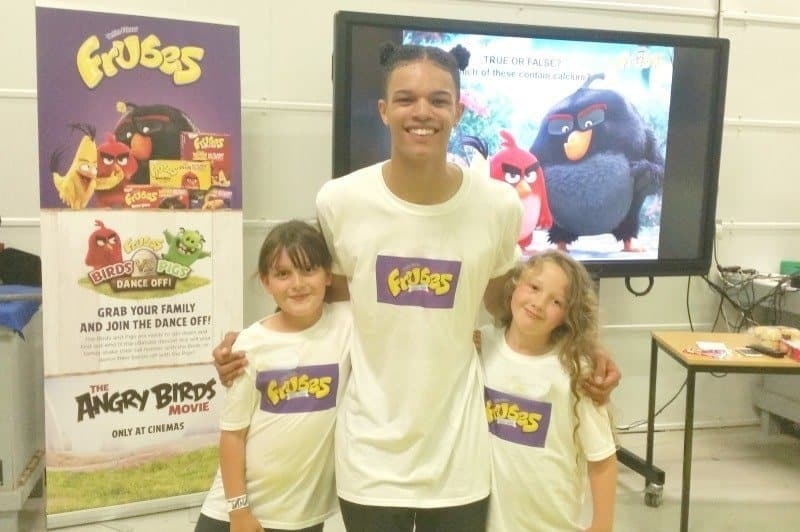 ), the competition includes a weekly draw to win a whole host of Angry Birds merchandise, with the grand prize of a family holiday for four to spend six nights in the Bahamas (sounds amazing!). They have a brand new website angrybirds.frubes.co.uk, where you can egg on either Angry Birds or mischievous Pigs, and be part of a squawksome dance-off to determine who has the best moves. After hearing all about the Frubes and Angry Birds partnership it was time for the children to have some fun. Taylor (Balance Unity) from Britain’s Got Talent was invited along to show the children some of his rather impressive dance moves. But who wants to just sit and watch? No, it was a hands-on session and the children were up and dancing alongside him. Roo was partnered up with Miss A from Family Budgeting (a budding friendship in the making) and between them, they showed us some fabulous dance moves. With the Thorpe Park visitors gone home for the day, it was time for us to head over to Angry Birds Land for a chance to enjoy the different themed rides which we had been exclusive access too. The King Pig’s Wild Hog Dodgems were a favourite for both Roo and Tigger with a battle between the hogs and the birds taking place. 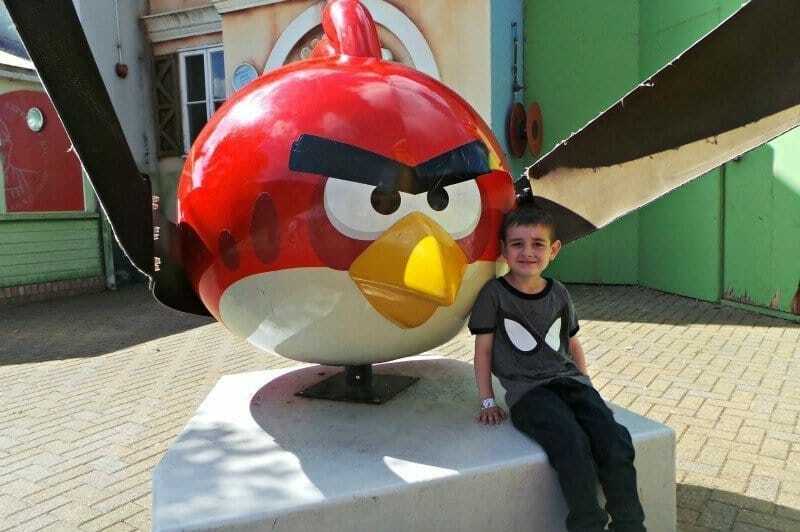 With the older children making fill use of the rides within Angry Birds Land it gave the younger ones the opportunity to partake in a little fun game. 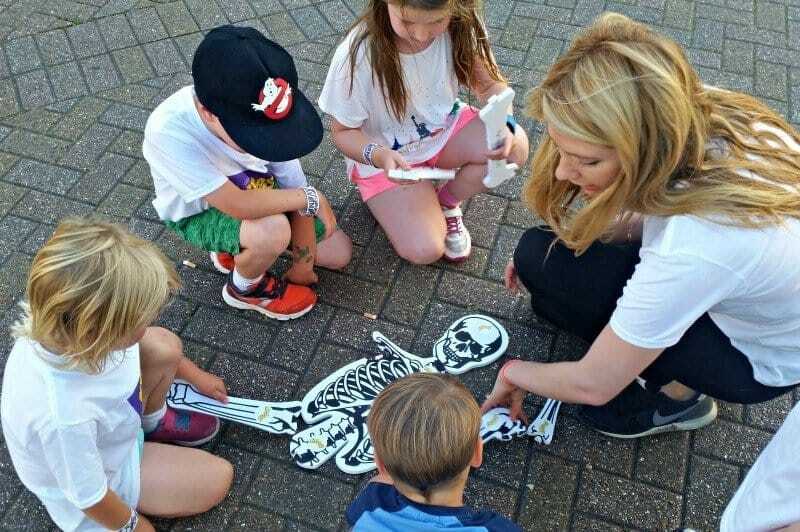 The Frubes ladies had hidden bones from a skeleton around Angry Birds Land and the younger ones were tasked with finding them and putting the skeleton back together again. A great way for them to learn where the different bones are in our bodies as well as burn off any excess energy before bed. 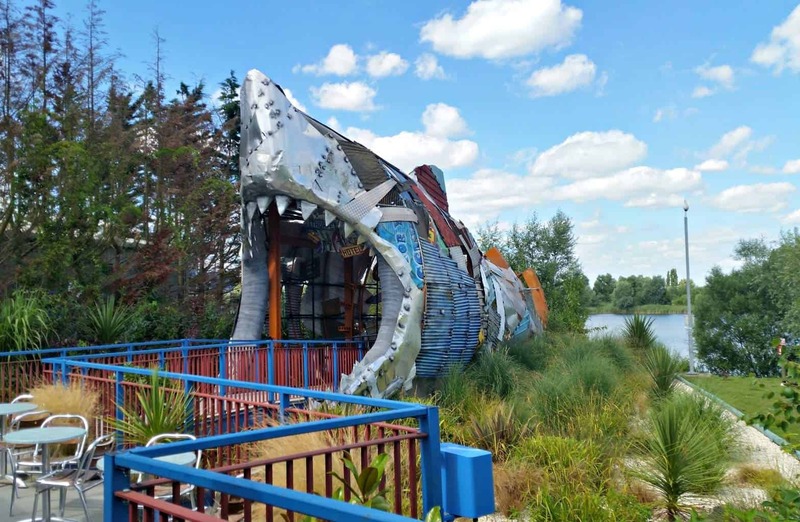 With all the fun and action from dancing with Taylor, searching for bones to build a skeleton as well as enjoying the rides within Angry Birds Land we were pleased to be staying over in the Shark Hotel. Located by the water’s edge you have to walk through the shark’s mouth in order to access the rooms. Tigger especially thought that this was very cool and was amazed by just how big the shark was. With us rested from the night before we headed into Thorpe Park the next morning for a day full of sun, sun and Frubes! Oh this looks like a fab day. Our little ones love Frubes- such a simply way for them to get some calcium, especially the way they guzzle them!